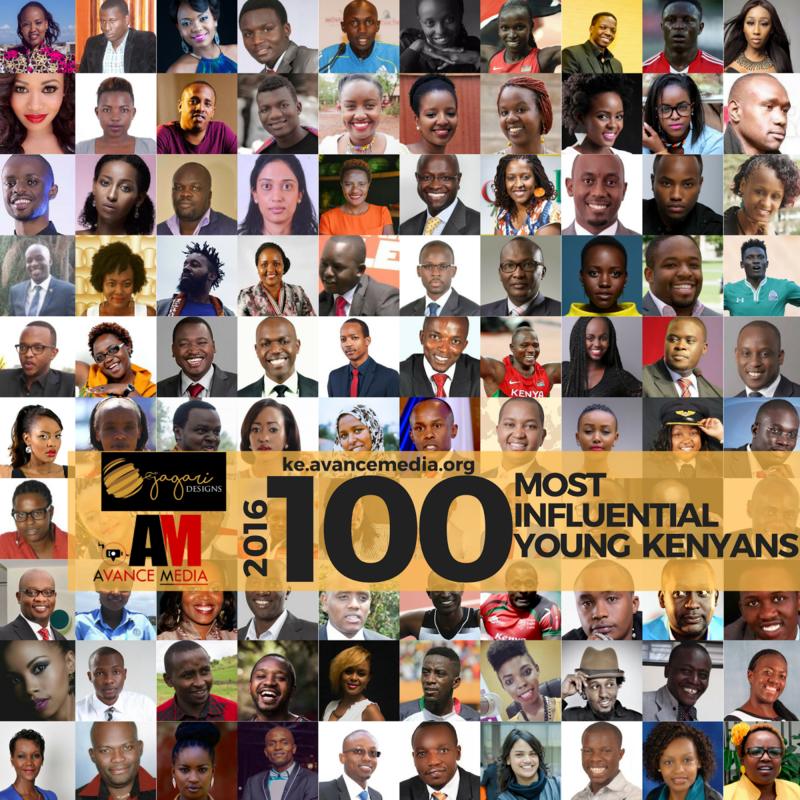 Reputed rating establishment and Africa’s leading Media and PR firm, Avance Media in partnership with Jagari Designs have announced their inaugural list of 100 Most Influential Young Kenyans. The list which reflects the achievements of young Kenyans throughout the year 2016 was streamlined in 10 distinct categories which represents key sectors across Kenya’s economy. The list which has a gender equity of 42 women and 48 men is an initiative meant to serve as a source of inspiration to young people around the world. According to Prince Akpah, MD of Avance Media, the initiative which was previously only launched for Ghana is embarking on a continental agenda of leading in sprouting the works and achievements of young people whose immerse contributions are sidelined and Kenya happens to be part of the first set of countries involved in the ranking. Resident COO of the rankings, Janerose Gatobu also shared her excitement about list, stating it is going to massively contribute to putting the stories of young Kenyans on the globe. In rating who becomes the 2016 Most Influential Young Kenyan, the general public is being invited to vote for their most impactful youth on ke.avancemedia.org. After public votes ends on 18th January, 2017, winners will be announced according to their respective categories before the young person voted as the Most Influential Young Kenyan for 2016 will be announced. Below is the full list of the 2016 100 Most Influential Young Kenyans in their respective categories. Avance Media is also successfully replicating the same ranking in Nigeria, South Africa, Cameroon and Ghana as they partner with various local and international organisations to honour young people across the continent. The 2016 ranking is in partnership with Quest PR and Communications Consultants, Reputation Poll, Barcity Media, Evergreen Initiatives Jagari Designs, CELMBD Africa, My Naija Naira, Just Elect, EOD Partners, Africa Youth Awards, Dream Ambassadors Foundation GH, iCare Hub Africa, Global Skills Exchange, Core Foundation and Project Know Thyself International.